Wow… time is flying! 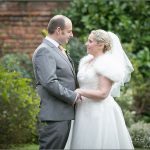 Matt and Julie’s wedding was back in February this year, they got married in Country Cottage Hotel, Ruddington Nottinghamshire. Like most of my enquires this wedding booking came from word of mouth from one of my previous wedding clients. Matt and Julie’s wedding was on a beautiful day in February, it wasn’t too cold and the sun was shining! It’s fair to say that Matt and Julie were a shy couple and really didn’t want too much attention focused on them during their wedding day. I seem to be doing more and more weddings based in Nottinghamshire locations, this is one of the joys of living in the centre of the midlands. As I look back on the pictures of the wedding guests, it makes me smile as they were a fun bunch of people, and this to me really helps to make a wonderful wedding.